All Bento boxes are supervised by natural food coordinator. We deliver healthy bento boxes using seasonal organic ingredients and natural seasoning. All Bento boxes are supervised by natural food coordinator. We deliver healthy bento boxes using seasonal organic ingredients and natural seasoning. The delivery fee depend on on Area & Delivery Method & Amount. 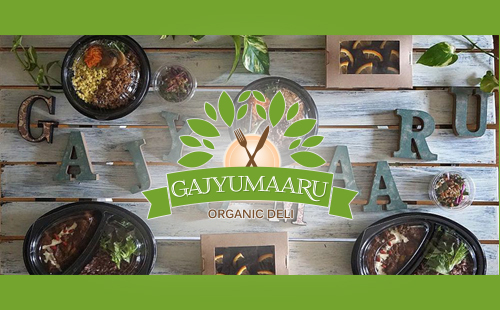 GAJYUMAARU can cater “Organic & Botanical” meals for party such as wedding, reception, conference. We will create precious and comfortable space & time with our beautiful cuisine & table decoration. We have a variety of menus that Muslim and Vegetarian can enjoy without any concern.